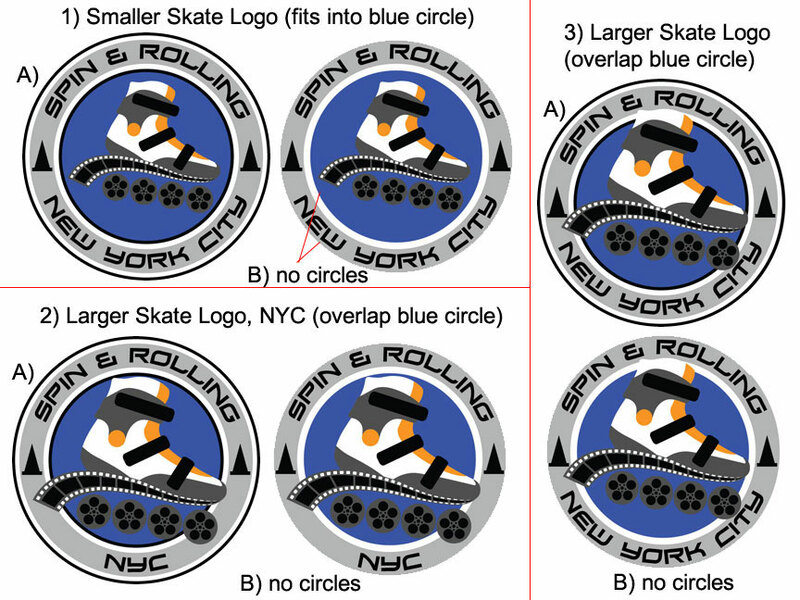 Thought it might be interesting if I shared how I do logo creation, how I came about creating the Spin & Rolling logo. 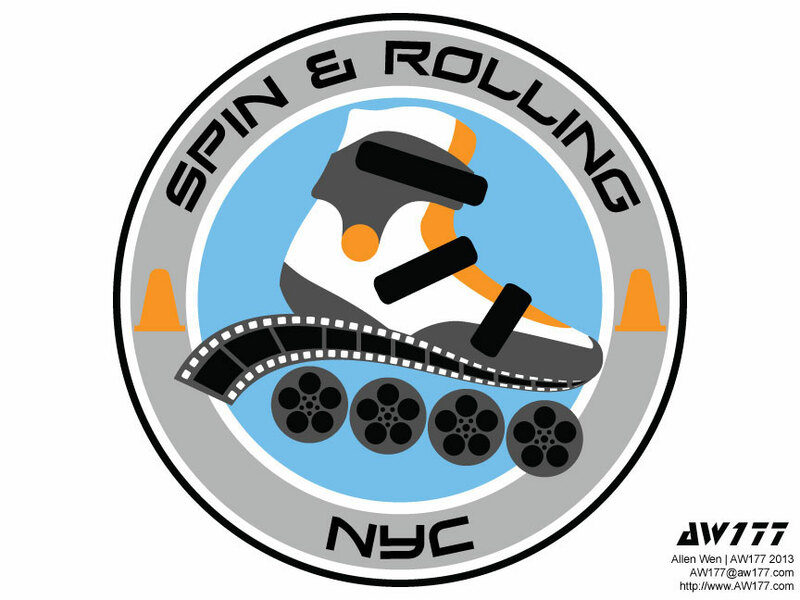 Spin & Rolling is the first skate slalom club in the USA, based in Manhattan, New York. 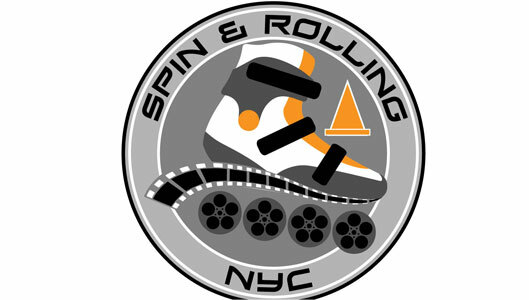 Spin & Rolling was founded in late 2009 as Skate Simple, but changed to Spin & Rolling in early 2011. Everything goes! 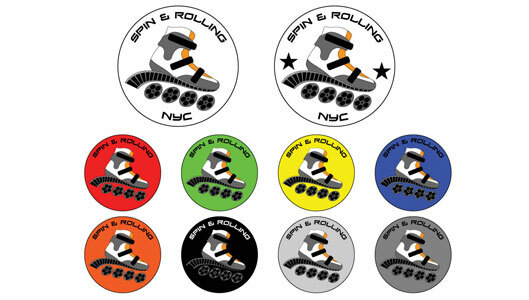 Inline skating, skateboard, longboard, in-line hockey, aggressive skating, freestyle slalom, free-riding and everything else that uses small wheels. 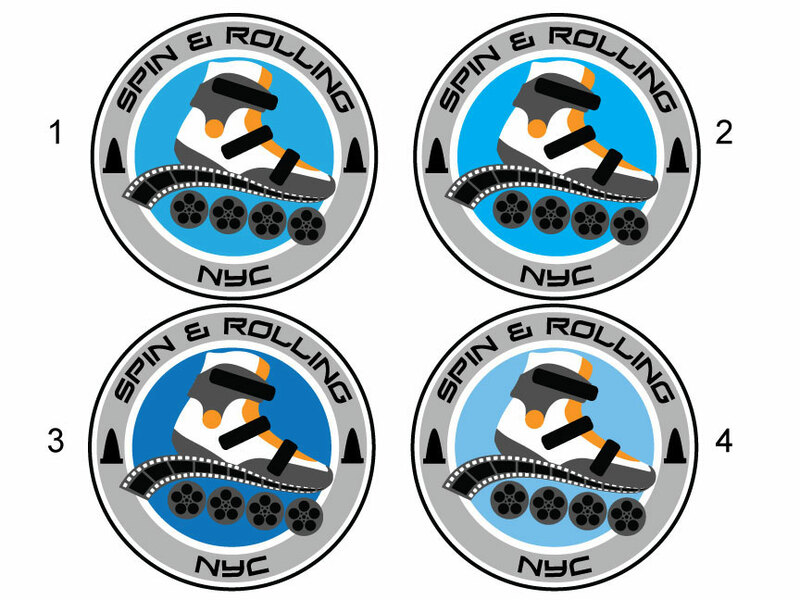 Their goal is to promote, organize skating events, and grow the sport of freestyle slalom skating in New York and city’s around. 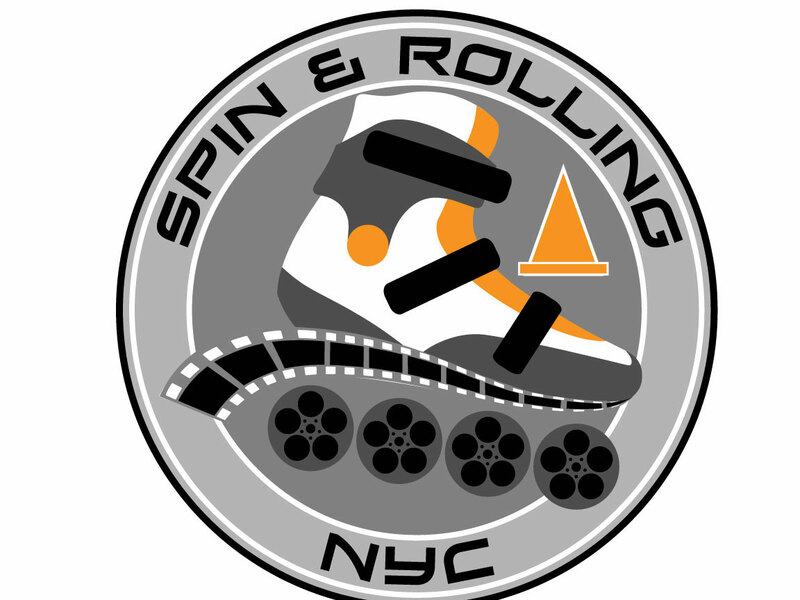 The client wanted a logo that represents who they are and what they do: freestyle slalom (Spin) and recording videos of their awesome moves (Rolling). 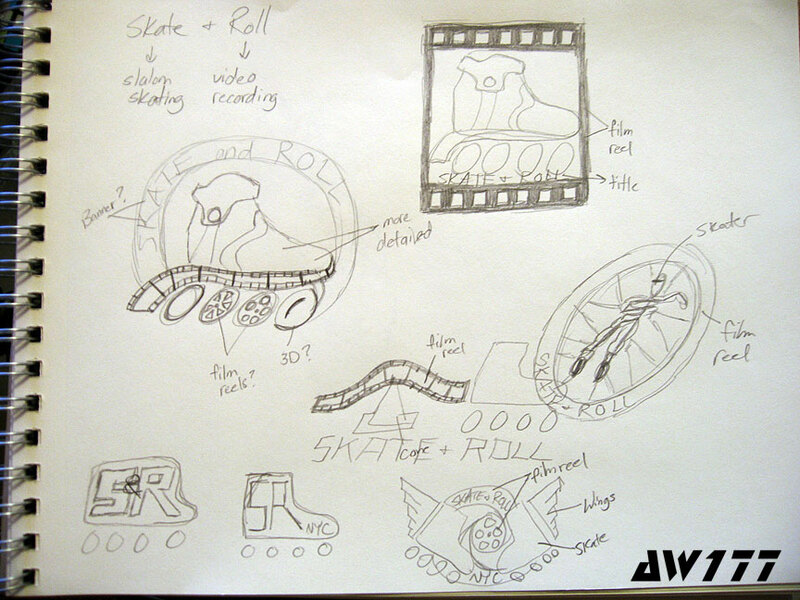 In my mind, there are two essential elements that need to go into this logo: skates and something related to video/film. 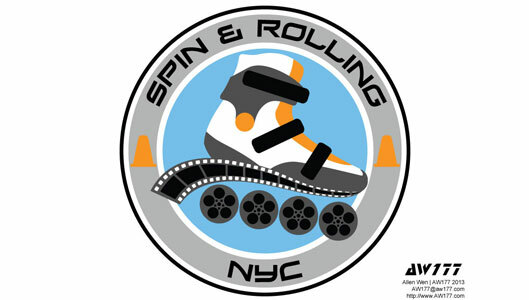 The words Spin & Rolling would go on top, maybe w/ a banner? 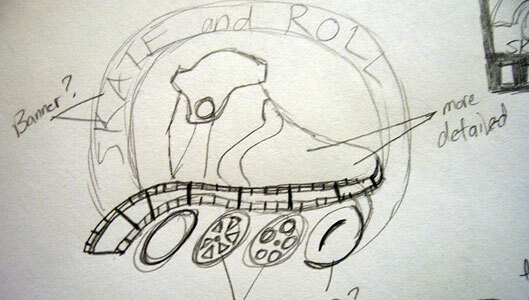 Not 100% sure yet, but just sketch it down anyway. I liked the other ideas as well, but this one was my favorite. The client agreed as well. 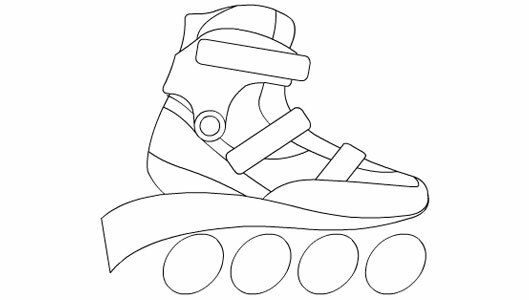 So I started to do my initial vectoring of this basic sketch – while I feel more comfortable using Illustrator today than I did a few months ago, I still find it a lot easier to do all beginning work in Flash. 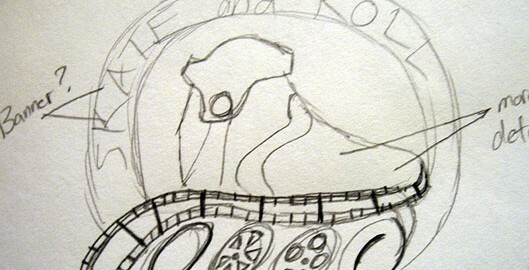 I can bend lines, make shapes, color, etc. 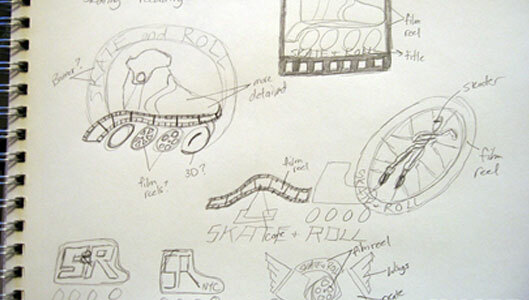 a lot faster than in Illustrator. 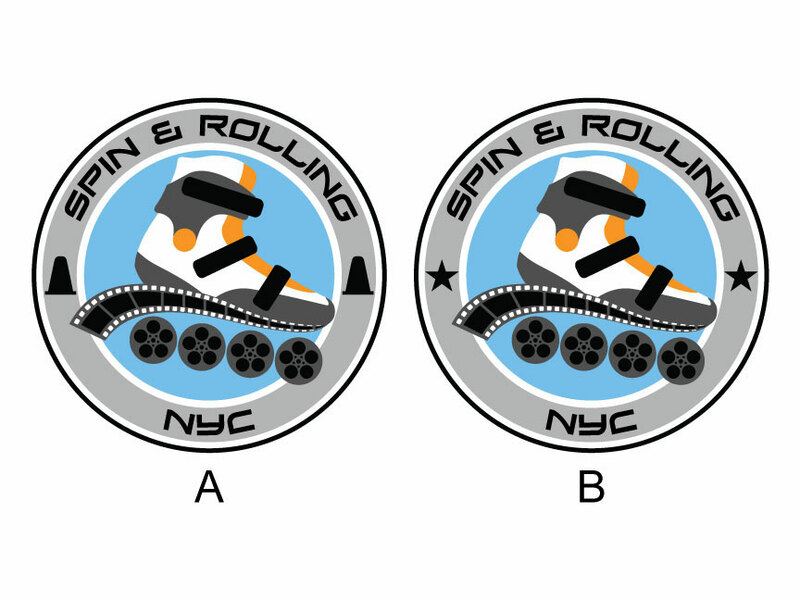 I will do all final work in Illustrator, but for the basic beginnings, I’ll stick to Flash (for now). 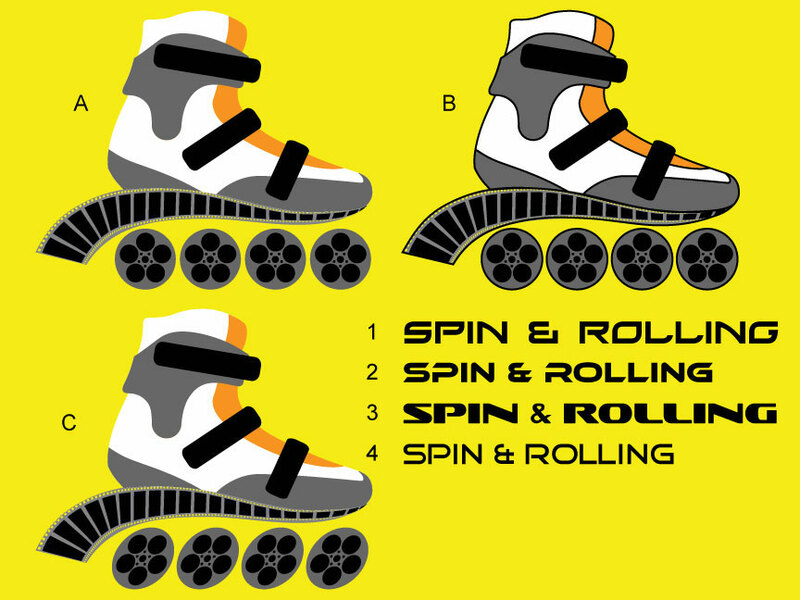 A: No outlines, B: Outlines, C: No outlines and ‘faster’ wheels; also some font choices for the wording (fonts were all free for commercial use). 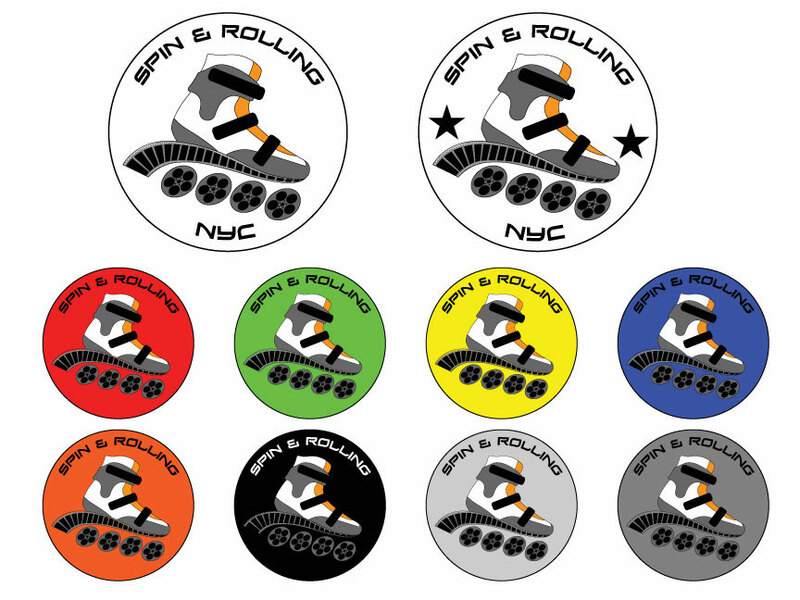 From this set of test logos, the client liked the look of the circle, liked the light grey color, but wanted to add cones instead of stars (as with slalom skating, they skate around cones). 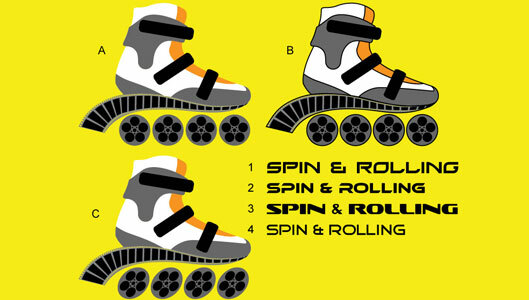 My only problem so far is that the ‘faster’ wheels don’t look like film wheels anymore; client agreed with me and I can change them back to the normal wheels. Now that I have a good general idea of what the client wants, I can start to do the full sketch in Illustrator, adding all details and cleaning things up. Client didn’t like the cone where I placed it and wanted it in the same position as the stars in the other picture. 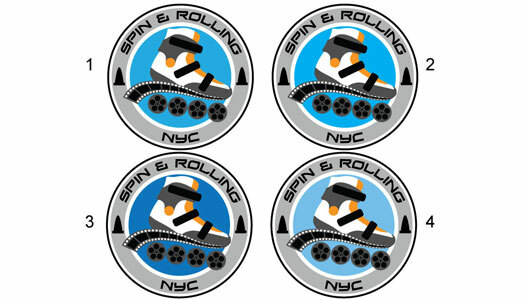 Also client wanted some blue/sky blue color in the logo as well. 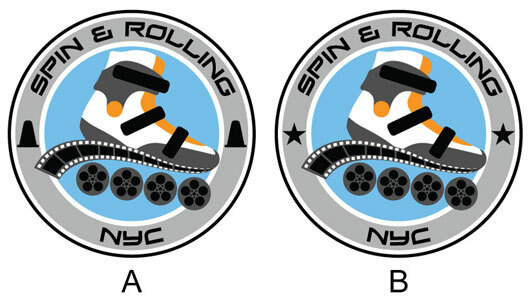 The client chose the same one as me, 2B, which is great. 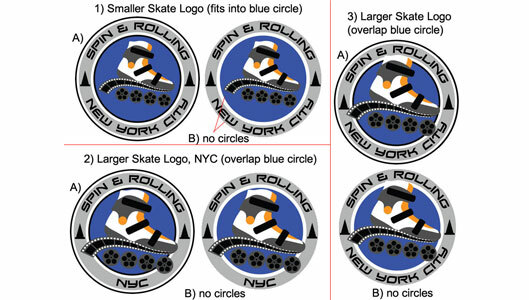 I feel having the skate overlap the outer circle gives it a much nicer look. The client feels the cones are too sharp at the top, and that the blue is too dark. I hope you enjoyed this blog post and that it gave you an insight into my design process; I know there were many areas which I could have done better, but by giving the client my all and making sure they are happy, is the most important to me. Thanks!